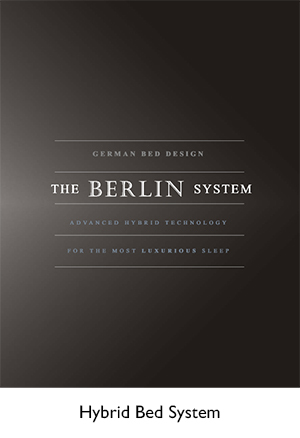 German Adjustable beds, European Mattresses, European Bedding. ONE: The spinal cord is aligned to minimize stress and pressure. The head, shoulder, and hip must be supported so each is positioned for the spinal cord to be aligned. TWO: Depending on each person’s body build and health condition, the sleep system can be adjusted to fine-tune support and comfort. THREE: The mattress cover should be able to absorb and wick away perspiration. It should be breathable to avoid body heat being trapped in air pockets. If not, the body will be constantly moving throughout the night to locate a cooler area of the bed. And that is not restful sleep! 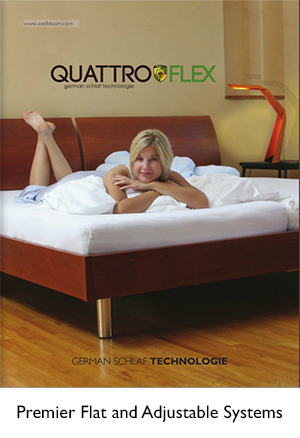 One: Mattresses Cores which are designed with complex shapes and layers of different material. The complex cut allows the shoulders, back, and hip to be cradled correctly. 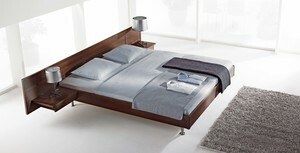 Air channels are shaped into the mattress to foster continuous circulation as the body moves through the sleep cycle. 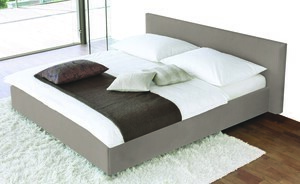 The mattresses are light so they can be flipped regularly to enhance durability. Three: Sustainable Mattress Covers that are washable and woven from natural TENCEL® fibers to be luxurious, hypoallergenic, breathable, and durable. Instead of “wearing” the same bed cover for years, you can unzip, machine-wash, and dry your covers for a healthy and clean-smelling sleep for years.